There are numerous different ways in which you can suffer a finger injury and there is a very wide range of finger injuries which you can suffer from. A finger injury can include everything from the simplest cuts and sprains through to serious damage to the tendons, fractures, vibration white finger, the loss of part of a finger, or even the total loss (through surgical or traumatic amputation) of one or more of your fingers. Whether you have suffered a fractured finger or other forms of injury to your fingers, if you were injured because of the negligence or deliberate action of another person, you could claim compensation. Find out how to make a finger injury claim and how much you could be entitled to in this guide. How Is Compensation For A Finger Injury Calculated? Can I Claim Compensation For The Partial Loss Of A Finger? What Should You Do If You Suffer A Finger Injury? How Much Time Do I Have To Make A Finger Injury Claim? How much compensation could I claim for a finger injury? Can I claim for a fractured finger or broken finger? How can a personal injury solicitor help you? Before we look at how much finger injury claim amounts can be, there is one central part of personal injury claims that we should address. To be able to make any personal injury claim you will need to be able to show that someone else was the cause of your accident, and thus injuries. It could be through their negligence or deliberate action. There are numerous circumstances in which we are owed a duty of care, whether this is owed by your employer in the workplace, a business owner whilst shopping, or the driver of a vehicle as a passenger, these people or bodies have a legal obligation to keep you safe and harm-free. There are several different articles of legislation in place which obligate people to keep you safe. Put in the simplest terms, in this guide we are discussing any type of finger injury. This could include everything from scarring and tenderness through to either the effective loss of the bulk of your hand, including the traumatic loss (amputation) of your fingers. As much as there are varying types of finger injury, there are also varying severities of injury. Later in this guide, we will look at common types of finger injury. Next, we shall look at finger injury claim amounts, as well as how finger injury compensation amounts are commonly calculated. Below we have included a table with details of how compensation bands for different types of hand and finger injuries. Before we look at this table we should note that the example amounts shown only take the actual injury itself into account. These are called general damages. The table does not look at special damages – those awarded for the wider financial impact that the injury has had on your life. The table does highlight the upper and lower limits in place for a variety of different types of injury. Total or Effective Loss of One Hand £84,310 - £96,150 Circumstances in which all fingers as well as most of the palm have suffered a traumatic amputation. Amputation of the index and middle and/or the ring fingers. £54,280 - £79,560 The hand is rendered of very little use. Serious hand injury. £25,430 to £54,280 Examples may include circumstances in which several fingers may have been amputated. 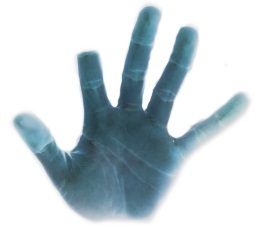 Less serious hand injury £12,670 to £25,430 Significantly impaired function in the hand. Moderate hand injury £5,110 to £11,640 At the bottom end of this bracket, there would be permanent but non-intrusive symptoms/ effects. Severe fractures to fingers Up to £32,210 Could result in some form of amputation. Partial loss of index finger £10,670 to £16,420 Could include effects to dexterity and even include disfigurement. 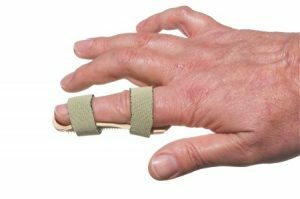 Fracture of index finger £7,990 to £10,730 There can be pain when using the hand and future issues such as osteoarthritis. Serious injury to either the ring or the middle fingers. £13,080 to £14,330 Affecting grip. Injuries to tendons with stiffness and possible deformity. Minor finger injuries Up to £4,160 May include, but not limited to, fractures, scarring and tenderness. The exact finger injury compensation amount that you can claim entirely depends on the circumstances of your accident and injury. Each and every case will be different and so each settlement for a finger injury will also differ. For example, a finger tendon injury could be awarded a different amount of compensation to a fracture or crush injury. How much you will receive will be calculated based on your own case. This applies even more so for special damages, looked at below. How much finger injury compensation your claim will be awarded will be calculated by looking at general damages, as highlighted in the previous section, and special damages. Special damages refer to all of the other costs and financial impacts which your accident could have caused you. Some of the most common types of special damages used in personal injury calculators are listed below. If you have had to pay to get to and from medical appointments related to your injuries treatment, or if you have had to have your vehicle adapted, these costs could be included in your claim. If you have to make any out-of-pocket payments for medical treatment, care costs, or for medication related to your injury, you could claim for these costs. Injuries to your hands or fingers could have impacted your ability to work whilst recovering. Income which you would otherwise have earned and workplace benefits which you otherwise would have been entitled to, such as pension contributions or bonuses. Talk to a personal injury solicitor today about how personal injury claim settlements are calculated and how much you may be entitled to. Vibration white finger developed by using vibrating machinery in the workplace. Other accidents in the workplace or injuries caused by repetitive actions. Car and other vehicle road traffic accidents. Accidents in a nursery or school. Participating in exercise or sporting activities. When looking at injury claims, there is a difference between accidents which could not be foreseen or avoided and accidents which could have been prevented if the corrects steps had been carried out, i.e. caused by negligence. If someone was in charge of an activity and they did fulfill their duty of care, but you were still harmed in some way, it could then be harder to file a finger injury claim. Have you suffered an injury in the workplace such as a fractured finger or a finger tendon injury? If so, you may be eligible to make a personal injury claim. In the UK there have been numerous pieces of legislation put in place in recent decades to continually ensure that workplaces are as safe as they can be. If you have sustained an injury at work and you think that someone else was responsible, you could make a compensation claim. In order to find out if you are eligible, we recommend that you talk to a personal injury solicitor who can better advise you of your eligibility and ability to claim. The provision of all necessary training, as well as the provision of all necessary safety equipment. That equipment is maintained correctly and at the appropriate intervals. That all recommended risk assessments are carried out when necessary. If you have an injury at work, make sure that you fill in a finger injury accident report. This creates an official record of your workplace accident happening. To inquire about making a claim and to have a finger injury assessment, call our advisors today. Having pain in your fingers is a common symptom of repetitive strain injuries (RSI). It can be much more common in people whose work involves either heavy typing (spending long amounts of time typing or using a computer) or operating machinery. Repetitive strain injuries are recognised as illnesses caused by work and there are specific regulations in place (monitored by the HSE) which put steps in place to protect people in the workplace from suffering RSI related injuries. If an employer has not taken the steps necessary, and if your finger injury can be found to by a symptom of repetitive strain injury caused through work, you should have a valid reason to make a claim. A repetitive strain injury can be harder to connect to your workplace, but such claims can still be made. In this guide from the NHS, you can see finger tendon injury recovery options where injuries were caused by RSI. Some workplaces require employees to use machinery for extended periods of time each and every day. Over the long-term, numbness and other injuries can affect the fingers and the hands in general. One of the more common of these is called ‘vibration white finger‘. You can find out more about this type of injury in this guide from the Health and Safety Executive. If you have sustained this type of injury in the workplace, you could make a finger tendon injury compensation claim. Vibration white finger is an illness which is almost exclusively caused by your work. As such employers have to take certain steps in order to keep you are safe and free from harm as possible if your role involves the regular use of vibrating machinery. An employer should keep the machinery you use as safe to operate as possible. They should also make sure that you (and other employees) are given the appropriate amount of breaks and be provided with medical assessments at regular intervals. If there have been any failures in your employer providing breaks, protective equipment or medical checkups, you could make a personal injury claim as a result. There are lots of common types of injuries to the fingers and hands. These can include a broken finger, a crush injury to your finger or even a dislocated finger. How much you can claim will depend on the type of injury suffered, as seen in the table earlier in this guide. Dislocated fingers: dislocating a finger joint can be quite painful and it can cause other injuries in the future, such as suffering arthritis. A crush injury to your finger: crush injuries can lead to a finger fracture or serious soft tissue injuries. The loss of a finger: people can suffer traumatic amputations or have to have all or part of a finger amputated. To make a loss of finger disability claim, talk to an advisor today. Soft tissue injuries: these can affect the ligaments or any other soft tissues. Cuts and lacerations: there are many ways in which you can suffer such an injury. To make a cut finger injury claim, talk to us today. Fractured or broken fingers: breaks and fractures can be painful and can take time to recover from. Workplace injuries caused by failures to meet health and safety standards. Injuries caused by or whilst traveling on buses, trains, or other forms of public transport. Accidents and injuries in shops, restaurants and other public places. Injuries caused by a fall or a slip due to damaged pavements. These are some of the most common ways in which people could suffer a break or fracture. For more information on this type of injury, call our advisors today. How much compensation do you get for losing the tip of your finger? This and questions similar to this are queries which we are frequently asked in cases where people lose part of a digit due to either a traumatic or medical amputation. Losing part or all of a finger can cause you to suffer seriously reduced functionality in the hand affected. As such, we can see in the table at the top of this guide that payouts for such injuries can be higher. Whether you lost part of or a whole finger (or fingers) in the workplace or through other circumstances, you could be able to claim compensation. If you have suffered any form of injury or illness the first thing we recommend you do is to seek whatever medical treatment you need. Your health and recovery should be your number one concern in the immediate aftermath of an accident. Once you have sought treatment, you can think about what you need to do should you wish to make a claim. To make a personal injury claim, there are pieces of evidence which you can collect and steps you can take to help your case have a greater chance of success. Report your accident to any relevant authorities, such as the police, an employer, shop, or local council. Get a copy of your medical report from the hospital or doctor. Invoices or other evidence for any expenses you have had to pay for. Photos of your injury and the cause of it. Evidence of lost income or lost workplace benefits. When you are making a finger injury claim you need to make sure that you begin and make your claim within the applicable personal injury compensation claim time limit. For reference, we have added a table below for you to check your circumstances against. Finger injuries suffered by a child. Up to the age of 18 if an adult is claiming for the child. Three years from 18th birthday for the child. Criminal injuries (caused by assault, etc) 3 years (there can be exceptions to this). For up-to-date advice on current personal injury claim time limits, contact one of our advisors today. To file a personal injury claim, you just need to gather together the information listed above, make sure that you are still within the personal injury claims time limit, and then contact our team. No win no fee is a phrase which is often used in the media. What the phrase refers to are what are called ‘conditional fee agreements’. These are a form of contract between a solicitor and a claimant. The agreement includes information on what the solicitor will do for the claimant as well as details of how fees will work. Generally, the case is taken on on the condition that fees are only payable to the solicitor under a ‘win’. If the case is lost, nothing will need to be paid by the claimant to cover the solicitors time or fees. Talk to one of our advisors for more information on how this type of claim works and the benefits of using them. Taking legal action can be complicated and so our team always advise people to work with a solicitor who is experienced in making a personal injury claim. We also recommend using a solicitor who has experience and expertise in cases similar to your own. The law can be complex and you need to be able to place your trust in the person handling your case. In most instances, the best person for the job will be a solicitor. When you are ready to get in touch with us and start your finger injury claim you can follow the three simple steps set out below. Get in contact with our team by phone or our contact forms above. Let our experts and advisors assess your case. If you are eligible to claim compensation for a finger injury, we could offer you a no win no fee claim. You can phone us by calling 0161 696 9685, or you can click on ‘contact us’ in the bar at the top of this page. Whichever way you get in touch with our advice team, we are ready to help you claim a settlement for your finger injury. If you have suffered any injury caused by your employer or whilst in the workplace, find out how you could make a finger injury compensation claim for an accident at work here. In this guide, you can find out more about claiming compensation for injuries (such as a finger fracture) caused by a car accident.